Ah yes, it’s that time of year again. That time of year when online publishers start cranking out forward-looking Listicles like U.S. growers cranked out soybeans in 2018. We’d love to take credit for this one, but alas, it was penned by friend-of-site and Farmobile CEO Jason Tatge. In the following piece Tatge lays out four predictions he’s more-than-willing to stake his name and professional reputation too going forward (Okay, that might be taking it a bit far…). Anyways, if you’ve got the time check out Tatge’s four predictions for Ag Tech and Ag Retail in 2019 below, and of course remember to come back to this article in 12 months so you can jump on Twitter next December and tell Jason just how wrong he was about what happened in ’19. That is, after all, the entire point of the Internet. Regardless of if you’re selling equipment, insecticides, seeds, fertility treatments, or software, all businesses that sell to farmers are going to be held to a higher standard in 2019. Up until now, there’s been little accountability to the success of a given product. For example, farmers have been forced to buy their seed (if they want a discount) before they can tell whether last year’s crop was successful. They buy the latest fertilizer based on research on small, controlled test plots that don’t at all resemble their fields. They pay for software-driven prescriptions, cross their fingers, and hope it all works out. This old business model is changing as agriculture goes digital. 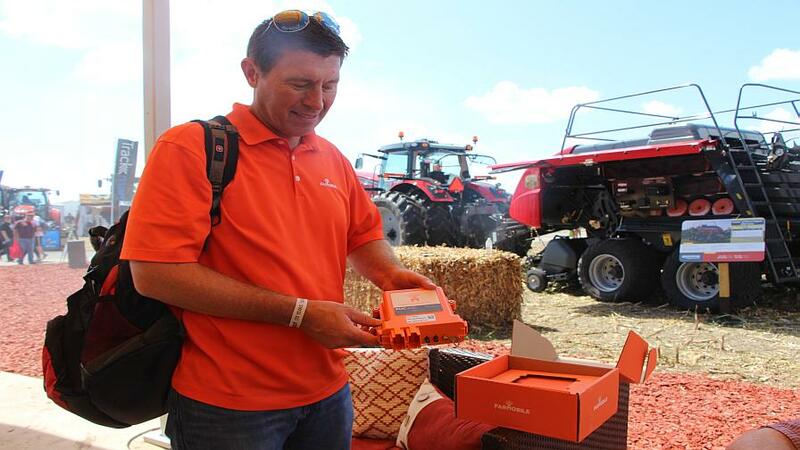 Farmers now have the tools to equip themselves with ground-truthed data that can tell them year-over-year which inputs had what effect on yield and quality of the crop – all with a level of precision and accuracy that’s never been possible before. As a result, farmers have new bargaining power. Business that supply to farmers are going to have to have some skin in the game and share in the enormous risk farmers take on growing season after growing season. These companies will begin getting paid based results, on yield, and on a farmer’s revenue. The smart ones will be proactive and change their pricing models even before farmers insist on it. We’re seeing examples of this in healthcare too, FWIW. Digital health companies are charging enterprises based on patient outcomes, not like a typical enterprise SaaS sale. 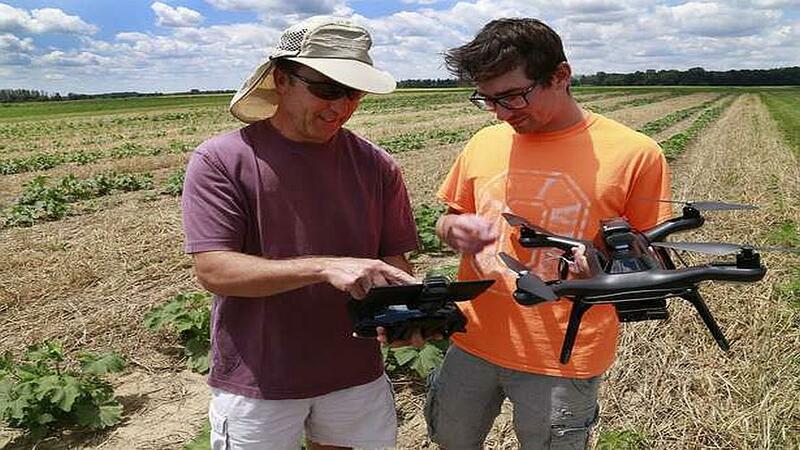 Right now, the agriculture industry conducts research much like everyone else. R&D departments at big ag companies have small, highly controlled and regulated research plots on which to run experiments, controlling one variable at a time. The problem with this model is that complete lack of evidence that the experiment works when the controlled environments disappear and the real world steps in. A new kind of research process will begin to take hold in 2019. 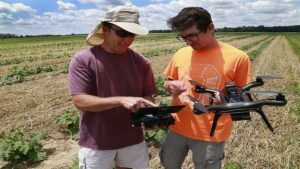 With farmers collecting more (and more precise) data than ever, companies have an opportunity to gain incredible insight into how their products work on a full field – when they are susceptible to wind, weather, insects, disease, and other factors that affect agriculture every day. Just as healthcare promotes post-market research as a regulatory necessity, so too will the ag industry follow their products beyond the initial sale. Nutrien Ag Solutions is launching an aggressive digital e-commerce platform in 2019. In 2017, we predicted that farmers were going to develop data strategies for their own farms. We saw that happen this year, in a big way. Now, ag retailers are going to have to follow suit by being able to use this farmer-collected data in a much quicker fashion — after all, time really is money. When the ag retailer has a fully integrated digital strategy, harvest data flows seamlessly to the trusted advisors who need the data to speed up fall applications. An example of this is when harvest comes late and winter comes early; at that point, the need to turn yield data into fertilizer application recommendations becomes paramount. New digital tools and streaming data allow ag retailers to compress time and extend the window to applicate. Crop removal recommendations (based on harvest data) can be generated the next day and sent to dispatch. Today, analog communication and delays in data transfer create a backlog of application work as retailers wait on the farmer to provide harvest information. Implementing this type of strategy, this year, would have allowed ag retailers in the Midwest to get more fall fertilizer in the soil before the ground freezes; and farmers would have felt better about Spring 2019. It’s no secret that the fruits and vegetables being grown today are nutritionally-depleted compared to their mid-20th century counterparts. Monoculture practices deprive the soil of key nutrients that are vital to our health and crop growth. To solve for this, farmers add more fertilizer to make sure crops take root and yield as much as possible without actually solving the core problem. This results in nutritionally-deficient crops, and even more nutritionally-depleted soil. And so the cycle continues. Commodity food markets are based on the premise that the primary crops are indistinguishable. But consumers are becoming more informed about the food that they’re eating, and technology is enabling transparency that’s never before been possible. They’re starting to realize that not all carrots are created equal. Advances in agricultural data collection, as well applications of blockchain, promise to create a transparent supply chain so consumers aren’t just picking out one of a hundred anonymous carrots in a bin, they’ll be able to see where and how that carrot was grown and make their purchases accordingly. Hand-held genomic sequencers and spectrometers can give consumers the power to test their food right in the grocery store for quality, freshness, and label integrity. 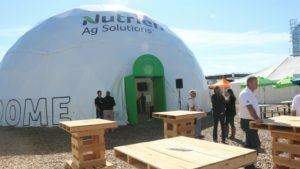 While this presents new challenges for the industry, including the farmers that have spent considerable capital investing in commodity equipment like grain elevators, it will also give a new competitive advantage to certain farmers who are differentiating on high-quality crops and growing methods. When the consumer is in charge, farmers who are growing higher-quality crops will be compensated accordingly. While the generic commodity markets will continue to feel pressure in 2019, innovative farmers will continue to seek new markets to differentiate themselves from the commodity pack.